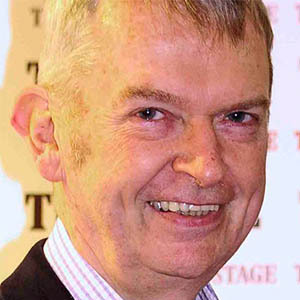 Philip Hedley is best known, in his long history as a theatre director, for his 25 years’ service as artistic director of the Theatre Royal Stratford East. While there he produced more Black and Asian theatre productions than were staged in any comparable British theatre, and he established courses for young Black and Asian directors, many of whom are now having great success in the entertainment industry. He was awarded a CBE for services to drama and an Honorary Doctorate by the University of East London, which acknowledged the many opportunities he gave to young artists and his devotion to closely involving the Theatre Royal with its’ local community in the East End. He was the first individual to receive an Eclipse Award for his pioneering work in combating institutional racism in British theatre. 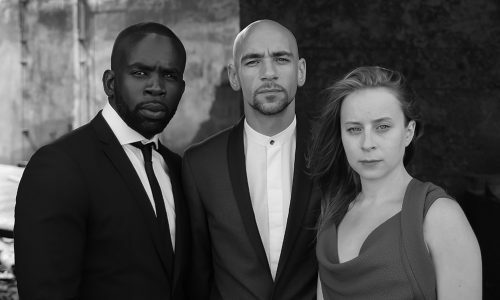 I was thrilled to hear that Fraser Ayres and Jimmy Akingbola were determined to establish an organisation to give a platform to the work of young artists and to make contacts for them in a profession which still cannot boast, with hand on heart, that it gives equal opportunities to all. TriForce is a breath of fresh air and it is always an inspiration to attend their events. I marvel at the imaginative way their work has expanded and I am honoured to be chosen as a patron. 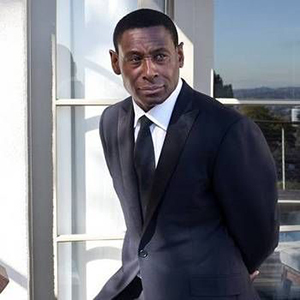 David Harewood is probably best known for playing David Estes, the Deputy Director of the CIA’s Counterterrorism Center, in the Showtime series Homeland. He began his career in 1990 and appeared in Harnessing Peacocks, Crimminal Justice, Game On, Macbeth on the Estate, Strings and Ballykissangel, as well as Othello at The National Theatre. He is also known for his appearances on The Vice, as Nelson Mandela in Mrs Mandela and Hustle and for his film roles in Blood Diamond and The Merchant of Venice. He is also known for his theatre work and played Martin Luther King in the premiere of the play The Mountaintop, as well as Theseus in the premiere of Moira Buffini’s play Welcome to Thebes at the National Theatre in London. 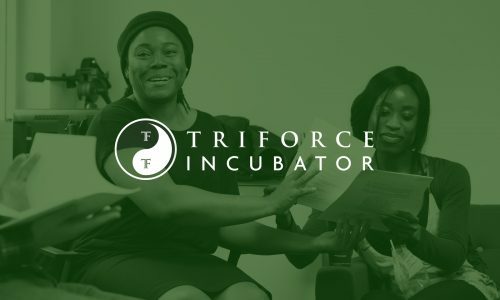 It’s a pleasure to support the TriForce Creative Network in the work they are doing to help people get on in our industry. David Morrissey is an actor and director. He has appeared in Some Voices (2000) and Captain Corelli’s Mandolin (2001), before he played the critically acclaimed roles of Stephen Collins in State of Play (2003) and Gordon Brown in The Deal (2003). The former earned him a Best Actor nomination at the British Academy Television Awards and the latter won him a Best Actor award from the Royal Television Society. Films include Sense and Sensibility (2008), Red Riding (2009), Nowhere Boy (2009) and Centurion (2010), and he produced and starred in the crime drama Thorne (2010). He is well known for his portrayal of The Governor in the AMC television series The Walking Dead. 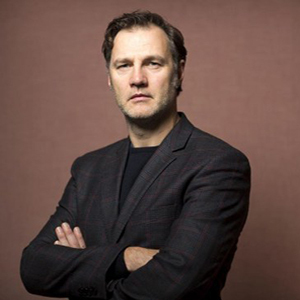 As a director, David Morrissey has helmed short films and the television dramas Sweet Revenge (2001) and Passer By (2004). 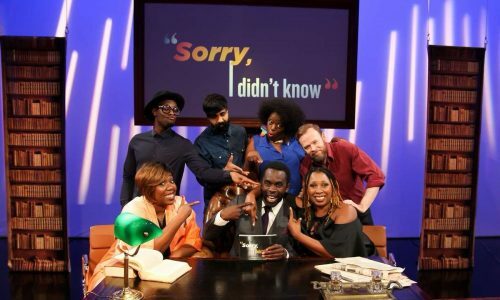 His feature debut, Don’t Worry About Me, premiered at the 2009 London Film Festival and was broadcast on BBC television in March 2010. I believe that talent, not financial ability should be the deciding factor for people wanting to work in the arts. The TCN work hard to create opportunities for people from all backgrounds and that’s something I wholeheartedly support. 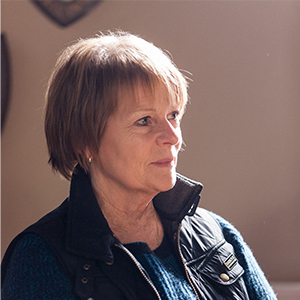 Kathy has worked extensively as an actor, writer and director for 30 years and has won awards and accolades in all three fields. She hates the term ‘national treasure’ but appreciates that she is indeed treasured by some members of the nation. I’m delighted to be a patron of TriForce. I’ve watched this company grow from strength to strength and feel proud of its continuing achievements. David Oyelowo is an actor, producer, director, and writer. He has played roles in the films Rise of the Planet of the Apes (2011), Middle of Nowhere (2012), Lincoln (2012), and garnered praise for portraying Louis Gaines in The Butler (2013). On television, he played MI5 officer Danny Hunter in the British series Spooks (2002–04), and as of 2014, provides the voice of Imperial Security Bureau agent Kallus on the animated series Star Wars Rebels. 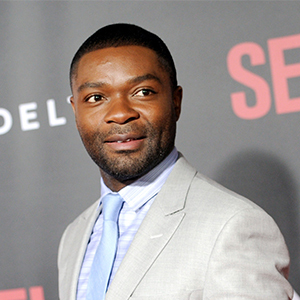 In 2014, Oyelowo played Martin Luther King, Jr. in the biographical drama film Selma, for which he received a Golden Globe Award nomination for Best Actor (Drama).Also in 2014, he starred in the HBO movie Nightingale, for which he won a Critics’ Choice Television Award for Best Actor in a Movie/Miniseries. and is also nominated for a Primetime Emmy Award. 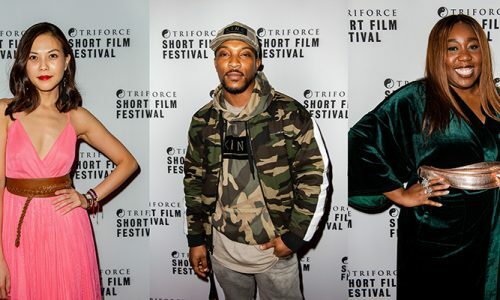 With so many black actors feeling a need to head to the US in order to play meaningful roles and make a name for themselves, we need organisations like TriForce Creative Network working to create more opportunities for a diverse range of talent in the UK. 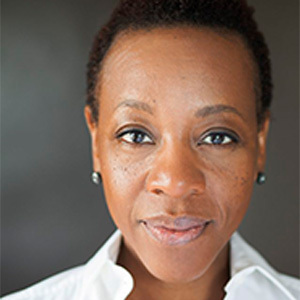 British actress Marianne Jean-Baptiste first became known to an international audience through her breakthrough performance in Mike Leigh’s Secrets & Lies (1996) and received Best Supporting Actress Oscar, BAFTA, and Golden Globe nominations for the role. She studied at RADA, and was nominated for the Ian Charleson award for her performance in Cheek by Jowl’s Measure for Measure. She has appeared in several films including Noah Baumbach’s Mr. Jealousy, the psychological thriller, A Murder of Crows, the independent comedy How to Make the Cruelest Month, The 24-Hour Woman, The Cell, 28 Days, Spy Game, Takers. 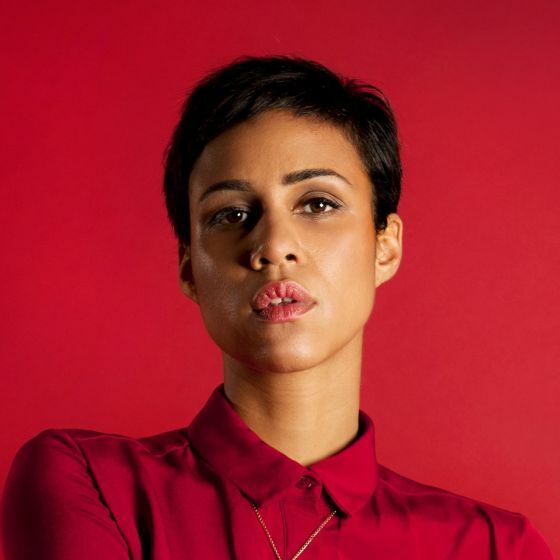 On British television she starred in Paul Greengrass’ The Murder Of Stephen Lawrence. She is perhaps best known to TV audiences as FBI agent Vivan Johnson in Jerry Bruckheimer’s Without a Trace. In 2013 she returned to the UK to appear at The National Theatre’s production of Amen Corner. In addition to acting and directing Jean-Baptiste is also a composer. 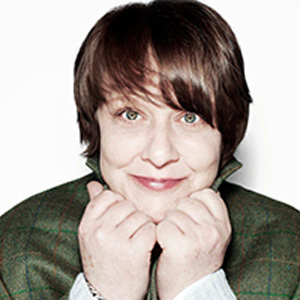 She scored the music for Mike Leigh’s Career Girls in 1997. 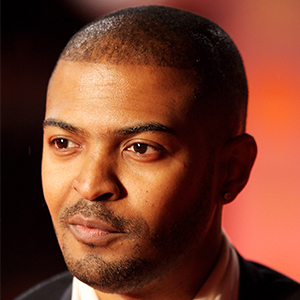 Noel Clarke is an actor, writer, director and producer. The award-winning actor achieved mainstream fame for his portrayal of Mickey Smith in the BBC revival of the sci-fi series, Doctor Who. In 2006 his debut motion picture, Kidulthood, was released and received wide acclaim. The film’s sequel, Adulthood, came out in 2008. Clarke wrote, directed and produced the crime thriller 4.3.2.1 in 2010, and wrote the screenplay for Fast Girls in 2012. 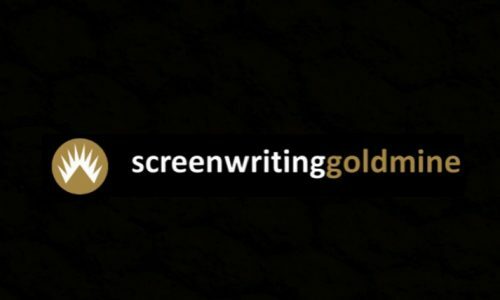 He is also now well known as a producer, having produced a number of films including The Knot, Storage 24, The Anomaly, We Are Monster and Legacy. I’ve been a supporter of TriForce since the beginning and I’m very pleased to become an official patron. The work they do to increase access into the industry for all talent is invaluable. 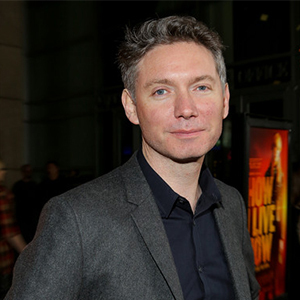 Kevin Macdonald is an award-winning Scottish filmmaker. His first documentary feature, One Day in September, won the Academy Award for Best Documentary, with his second feature, Touching the Void, collecting a BAFTA for Best British Film. His other credits include the critically acclaimed documentaries Marley and Life in a Day, and the features The Last King of Scotland, State of Play, How I Live Now and Black Sea. He is currently in post-production on11/22/63, a new miniseries based on the Stephen King novel and starring James Franco. 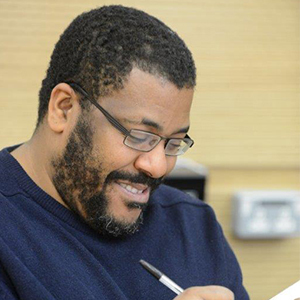 Roy Williams is now arguably one of the country’s leading dramatists. In 2000 he was the joint-winner of The George Devine Award and in 2001 he was awarded the Evening Standard Award for Most Promising Playwright. 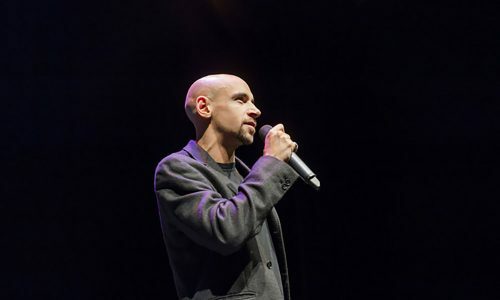 He was awarded the OBE for Services to Drama in the 2008 Birthday Honours List and received the Best Play Award at the Writers Guild Awards in 2011 for Sucker Punch. His plays include SUCKER PUNCH (Royal Court Theatre, nominated for Olivier Award for Best Play), CATEGORY B (Tricycle Theatre) DAYS OF SIGNIFICANCE (RSC), JOE GUY (Soho Theatre/Tiata Fahodzi), THERE’S ONLY ONE WAYNE MATTHEWS (Polka Theatre), BABY GIRL (NT Connections), ABSOLUTE BEGINNERS (Lyric Hammersmith), LITTLE SWEET THING (Nottingham Playhouse), SLOW TIME (NT Education), FALLOUT (Royal Court Theatre), SING YER HEART OUT FOR THE LADS (NT), CLUBLAND), THE GIFT (Birmingham Rep/Tricycle Theatre), LOCAL BOY (Hampstead Theatre, LIFT OFF (Royal Court,) , STARSTRUCK (Tricycle, Winner of John Whiting Award, Alfred Fagon Award & EMMA Award for Best Play), and THE NO-BOYS CRICKET CLUB (Theatre Royal, Stratford East). 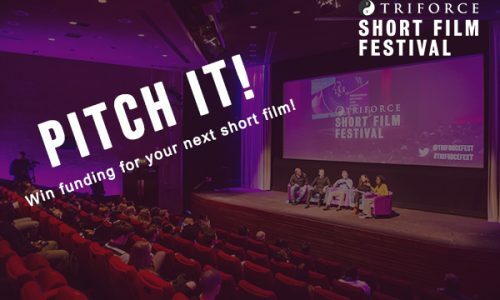 His work for television includes LET IT SNOW (Endor Productions/Sky), FALLOUT (Company Pictures/ Channel 4, Screen Nation Award for Achievement in Screenwriting), OFFSIDE (BBC, Winner of BAFTA Children’s Film & TV Award for Best Schools Drama) and BABYFATHER (BBC). In 2012, Roy co-wrote the movie FAST GIRLS. Really honoured to be a patron for Triforce. It’s all about giving future artists a leg up. Essential, because if we don’t, we all lose. 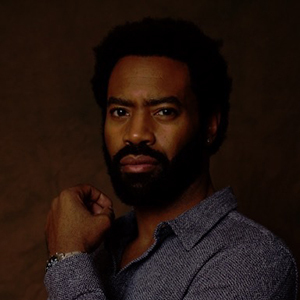 Nicholas Pinnock is a British theatre television and film actor that has appeared in programmes such as the Channel 4′s award-winning drama, Top Boy and ITV’s The Ice Cream Girls. Most recently Nicholas starred alongside Michael Gambon and Christopher Eccelston in Sky’s critically acclaimed Fortitude. Theatre work includes The Royale at the Bush theatre in which Nicholas took the lead rfole and received huge critical acclaim. Other work includes As You Like It at Staffordshire Castle at the Staffordshire Shakespeare Festival, followed by working with directors such as Kathy Burke in Hampstead Theatre’s production of Born Bad, David Grieg and Marisa Zanotti in the Edinburgh Official Festival’s production of the critically acclaimed San Diego, and Topdog/Underdog at Glasgow’s Citizens Theatre. Over the years, I’ve seen TriForce grow from MonologueSlam, to their Short Film Festival and now WriterSlam. 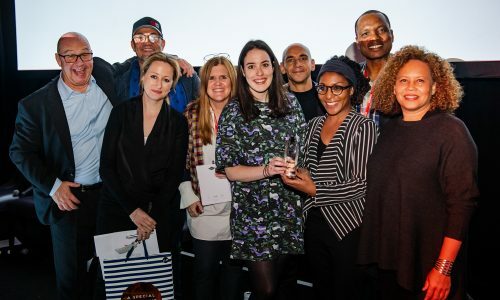 The help, support and opportunities they offer to people trying to break into the creative side of the entertainment industry, is valuable to so many. I’m in constant support of what they do and champion their work. 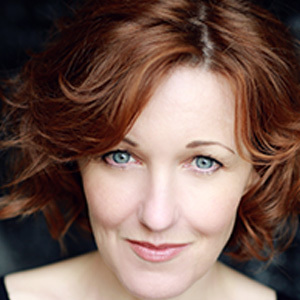 One of the top independent producers in the country, Hilary is known for the many award-winning and internationally successful programmes she has produced, including State of Play, The Girl in the Café, That Day We Sang, Roald Dahl’s Esio Trot and Agatha Christie’s Partners in Crime. She was also the first ever female Chairman of BAFTA. Kacey began her professional career in the award winning musical Annie at the Victoria Palace in 1978 having been selected from a large open audition. She returned for two subsequent runs of Annie after which she made appearances on Saturday morning television, a few musicals and a film with Peter Sellers. 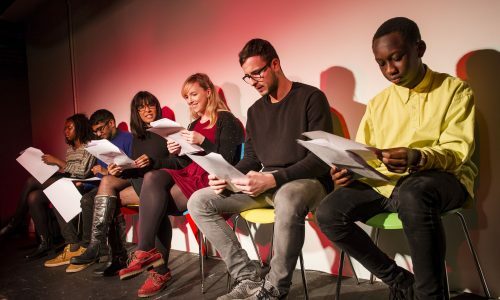 She ‘retired’ from acting aged 14 to concentrate in her education but joined the Cockpit Youth Theatre and the Young Vic Youth Theatre for fun. After completing her education, she auditioned for Central School of Speech and Drama graduating in 1994 with a BA in Acting. After Central she completed a season at Harrogate rep appearing in The Merchant of Venice and The Boys From Syracuse. Kacey then worked in several young writers’ and new writers’ workshops at the Royal Court, Soho Theatre and Paines Plough before being cast as Lucy in award winning playwright Joe Penhall’s Pale Horse with Ray Winstone at the Royal Court, followed by Serving it Up (Bush), Attempts on her Life (Royal Court) and playing Katherine in The Taming of the Shrew for the English Touring Theatre. In between her theatre work she appeared in A Touch of Frost, (ITV) Peak Practise III (ITV) Soldier, Soldier V (ITV), two Screen One productions for the BBC, The Beggar Bride and The Moonstone, Touch and Go (C4) and two series of The Cone Zone (CITV). 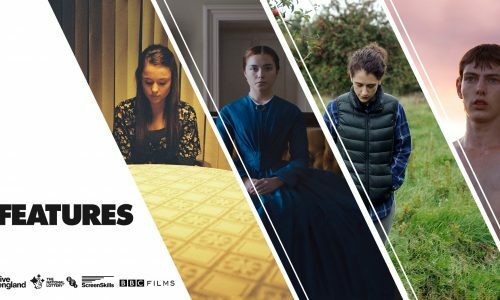 Films include: The Sin Of Gluttony (C4) That Lady From Rio with Hugh Laurie and Mike Leigh’s Oscar winning movie Topsy Turvey as well as shorts Ticks (Dragon films) and Hip Hip Hooray and several radio plays. In 2000 she began an 8 week improvisational process to find a new family for Eastenders ultimately creating the role of Little Mo Slater. She stayed in Eastenders for six years winning every major best actress award including an NTA for best actress and accepting the television BAFTA for best continuing drama series in 2003 on behalf of Eastenders. Kacey left Eastenders to head a new series for the BBC, Holby Blue appearing in two series before leaving to bring up her two children and build her own Eco house. Kacey returned to acting appearing in Calendar Girls (David Pugh), Carries War (Apollo West end) , Steel Magnolias (David Ian productions), Laughton (Stephen Joseph Theatre), Feed The Beast (Birmingham Rep) and on television as guest leads on Casualty (BBC) Midsommer Murders (ITV), Doctors (BBC) and Call the Midwife Christmas Special (BBC) she is currently filming the second series of Grantchester (ITV) playing series regular Cathy Keating alongside Robson Green and James Norton.